From June 28 through 30, 2016, the OPTIMUS PRIME Spinoff Promotion and Research Challenge (OPSPARC) gave the contest’s winning students the opportunity to explore NASA’s Goddard Space Flight Center in Greenbelt, Maryland. The student winners of the OPTIMUS PRIME Spinoff Promotion and Research Challenge visited NASA’s Goddard Space Flight Center in Greenbelt, Maryland, June 28 through 30, 2016, to receive their awards. Three teams of students from elementary, middle and high school won the contest by creating the most popular ideas to use NASA technology in new and innovative ways. The students used an online platform called Glogster to make posters about their ideas, and the general public voted for their favorites. Sophia Sheehan won the elementary school prize for her invention of the “blow coat,” which would be powered by solar panels and blow warm air into winter coats, helping people in her hometown of Chicago stay warm in the winter. Heidi Long, Aubrey Nesti, Katherine Valbuena and Jasmine Wu won in the middle school category for their idea called Tent-cordion, which would use spacesuit and satellite insulation materials in a foldable tent to house refugees and the homeless. Finally, Jake Laddis, Alex Li, Isaac Wecht and Isabel Wecht won in the high school category for their idea to use James Webb Space Telescope sunshield technology to shield houses from summer heat and reduce the need for air conditioning around the world. The high school winners also had the opportunity to compete in the NASA InWorld challenge, sponsored by the James Webb Space Telescope project, and continued developing their idea in a virtual world and gaming environment. 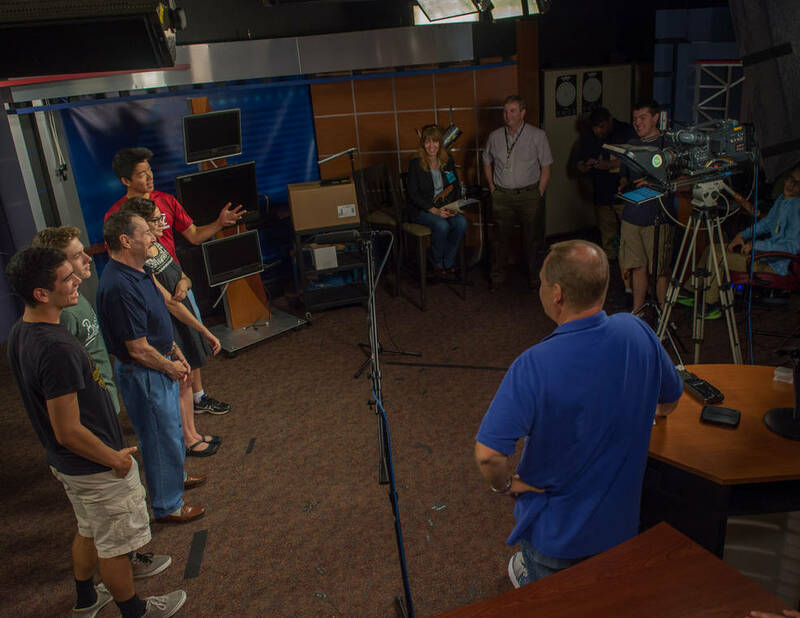 During their three-day workshop at Goddard, the students toured the center, met with scientists and engineers, took a look at the James Webb Space Telescope in Goddard’s clean room, and even made their own videos in Goddard’s TV studio. One of the students talked about how the experience inspired her. The winners from each age group filmed a video about their spinoff idea in the Goddard TV studio with Peter Cullen, the voice of OPTIMUS PRIME. 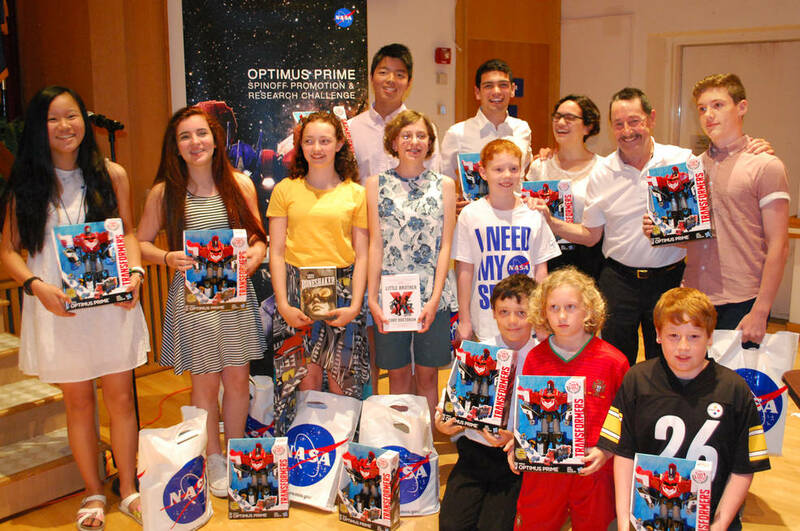 On June 30, Goddard Center Director Chris Scolese, together with the voice of OPTIMUS PRIME himself, Peter Cullen, presented the students with awards for their hard work and creativity.